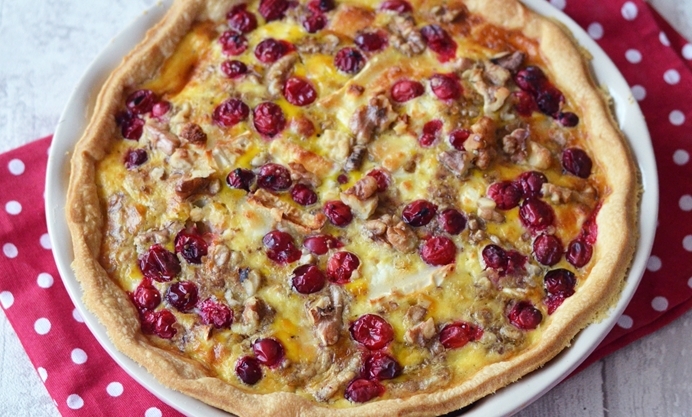 Made with fresh cranberries, goat's cheese and walnuts, this festive tart by Helen is scrumptious served both hot or cold. I don’t eat much cheese throughout the year, but for me Christmas time is all about the cheese. It’s also all about the chutneys and nuts, especially those in the shells, which remind me of Christmas when I was a child when myself and my dad would sit with a bin between our knees cracking open our nuts. My favourites were hazelnuts, as they always came out of the shells easily. Brazil nuts were temperamental and if you didn’t crack it just right it would be near on impossible to get the nut out. I loved walnuts, but they were fiddly and it was a real treat when I managed to get a complete half. These days I like to buy my nuts ready shelled, and eat a handful most days, with Brazil nuts being my current favourite. 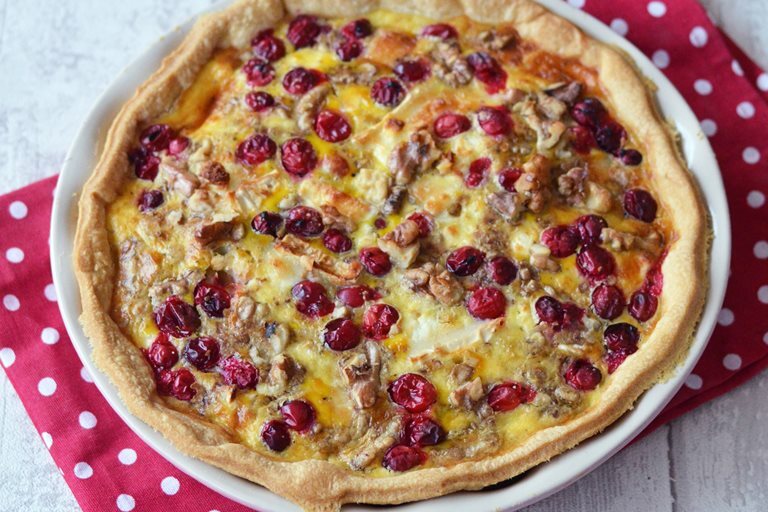 This festive tart has many elements to it that signify Christmas to me: cheese, walnuts and fresh cranberries. It's delicious served both warm and cold, and would make a great addition to a Christmas buffet.